and I know she thinks o' me". 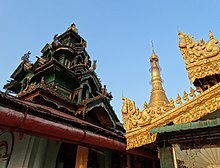 In Moulmein, in Lower Burma, I was hated by large numbers of people -- the only time in my life that I have been important enough for this to happen to me. ↑ Shorto, H L (1963). The 32 myos in the medieval Mon kingdom. Bulletin of the School of Oriental and African Studies. p. 575. ↑ Banerjee, I. & Logan, S. Asian Communication Handbook 2008. AMIC, 2008. ISBN 978-981-4136-10-5. ↑ McPherson, Kenneth (2002). Port Cities as Nodal Points of Change. Columbia University Press. pp. 75–95.